RohwaJeong is an artist duo formed by Noh Yunhee (b. 1981) and Jeong Hyunseok (b. 1981), who both live and work in Seoul. Their art practice utilizes various forms and materials, responding to the changing surroundings of their environment. Included in the exhibition are five installations and a silkscreen print. 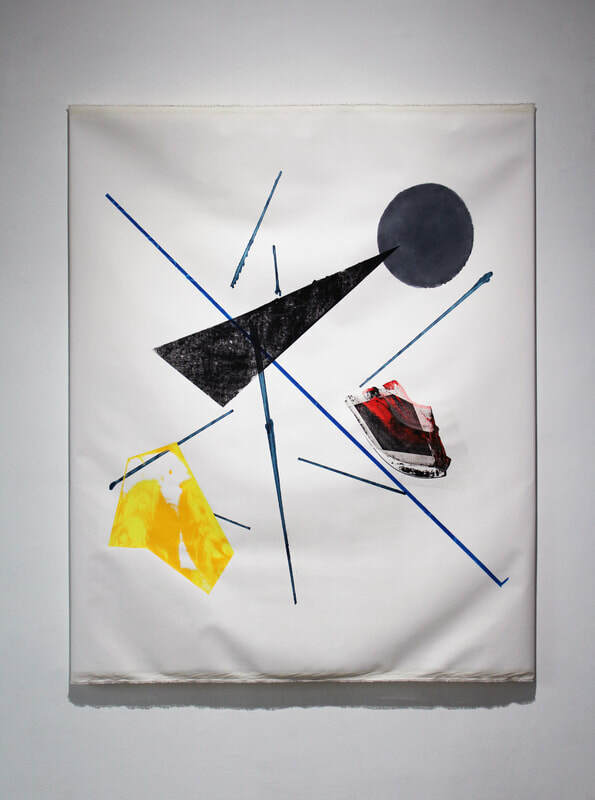 Their interest in binomial opposition and paradoxical meanings such as concepts of routine and work; object and image; nature and artificiality; inside and outside; past and present, informs the basis of their work. Viewers can read from their work an intentional imperfection; materials are manipulated where each line or form contain textural gestures that illustrate a non-linear visual metaphor of time and space. Previous exhibitions include: The 12th Gwangju Biennale: Imagined Borders (2018); Lesson 0, National Museum of Modern and Contemporary Art, Korea (2017), The thing that you know, I do not want to know, Marseille Expos:, la compagnie (2016). Jaeyoung Park (b. 1981) questions the paradigm of contemporary society; the willingness of people to accept and interact with existing and prevalent data, information and knowledge within our cultural systems. His spatial installations examine the tools of deception and storytelling, as well as the consequences of blind belief in artificiality. His latest installation Piece simulates the view of looking through a crack in space, where a wedge of landscape has been carved out and transported into the gallery space. The pieces of objects that have been sharply cropped allow the viewer to finish the narrative suggested. Park defines this process as like developing a photo negative, where a ‘negative scene’ is transformed into a ‘positive scene’. Previous exhibitions include: National Museum of Contemporary Art (2011, 2013); Seoul Museum of Art (2010); Brain Factory (2011); Dukwon Gallery (2008); SeMA, Buk-Seoul Museum of Art, Seoul, Korea (2016); Art Space Jungmiso, Seoul, Korea (2015); Art Sonje Center, Seoul, Korea (2014); National Museum of Modern and Contemporary Art, Seoul, Korea (2014); Art Space Jungmiso, Seoul, Korea (2013); National Museum of Modern and Contemporary Art, Gwacheon, Korea (2013); Insa Art Space, Seoul, Korea (2012). Jungki Beak (b. 1981) is driven both by his interest in religion and Eastern philosophy, as well as his methodology of applying scientific enquiry to spiritual concepts. His photographic series Is of: Fall, depicts landscapes of Fall foliage at the pinnacle of ecstasy and despair, as leaves transform beautifully into sun blushed colors, only to disintegrate into dust. The photographs are printed with pigments extracted from the colorful leaves themselves, where his objective to preserve the intensity of the natural pigments from light and air damage, creates an individual authorship of time and space within the natural cycles of our environment. 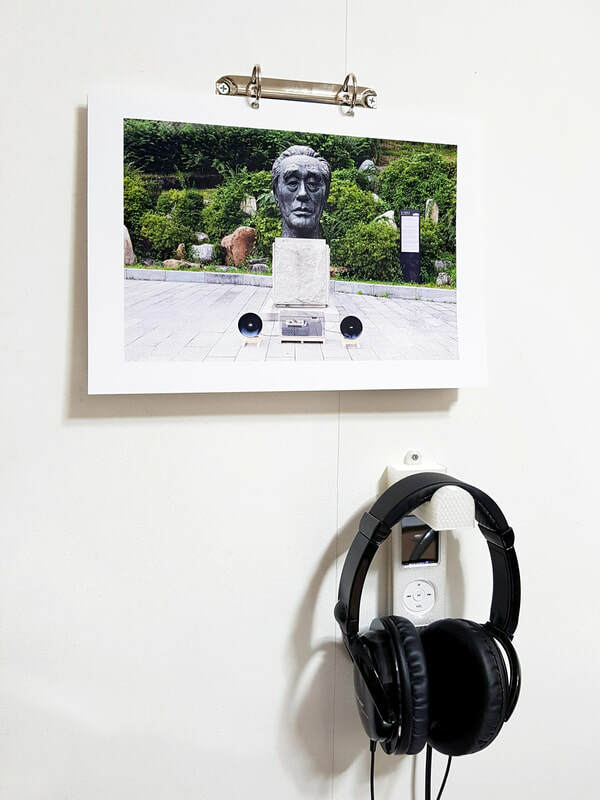 His sound installation Memorial Antenna examines public statues as physical voids in space, imbued with symbolic imagery that exist within our collective consciousness. Beak transforms these statues into shortwave radio towers, receiving radio waves that are then broadcast to the masses. By emphasizing the functional materiality of the statues, Beak sheds them of their symbolic skin and draws attention to their physical presence within their location and real time. Previous exhibitions include: Art Spectrum, Samsung Leeum Art Museum, Korea (2016); Wrap Around the Time, Nam June Paik Art Center, Korea (2016); SEOUL, Vité, Vité, Lille Tripostal, France (2015); Singapore Open Media Festival, Gillman Barracks, Singapore (2015); Revelation, Doosan Gallery New York, US (2015); Gate Opener, Beijing Commune, Beijing, China (2014). 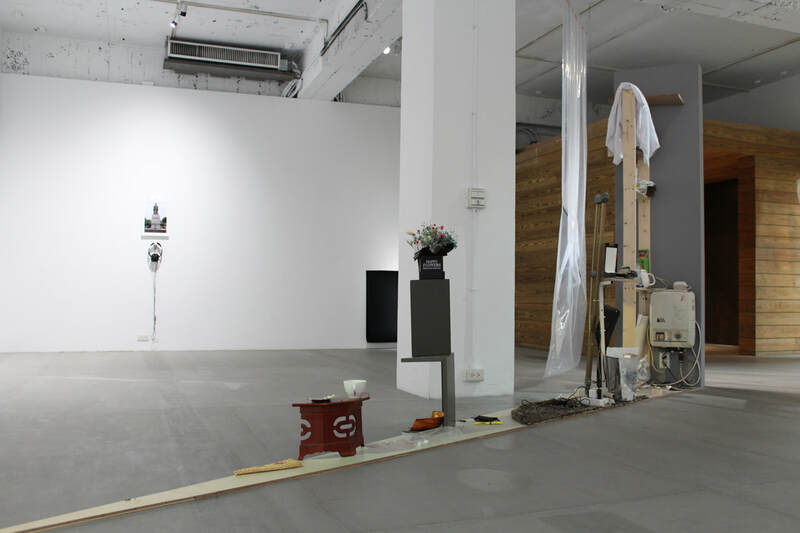 Awards and residencies include: Doosan New York Residency, US (2015); Nomadic Artist Residency, Chennai, India (2014); SEMA Nanji Residency, Seoul Museum of Art, Korea (2013); Song-eun Art Award, Song-eun Art Foundation, Korea (2013). Throughout her art practice Hyein Lee (b. 1981) has travelled to different countries, immersing herself as a stranger in her surroundings, painting in the open air out of the studio, often completing a work in one sitting. Her art practice seeks to portray the spontaneous experiences or accidents as they occur, that can in turn affect our perception of space and time beyond our expectations. Her latest series XDXD is a collaboration with Taipei artist Lu Yi, structured over multiple sessions of FaceTime and Skype video calls, the two artists converse and interact through a screen without having met face to face. Lee observes the day to day activities of Lu Yi – a sound artist tinkering with unfamiliar audio devices or planning future performances. 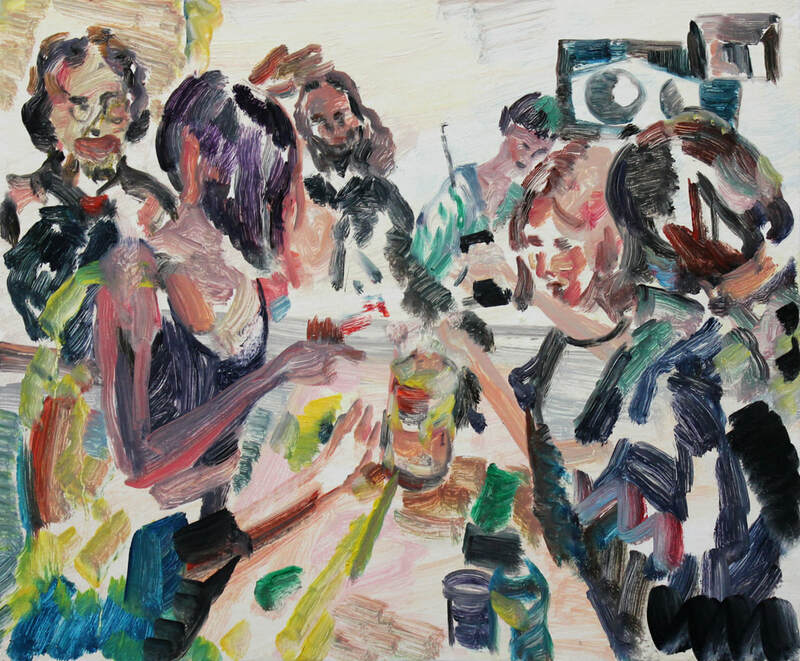 Lee captures these intimate observations by painting while conversing with Lu Yi, watching her work and responding to the music that she creates in the background. Her paintings become a random collection of remnants that depict time unfolding into an unknown future, yet are informed by the structures of time, space and the actions in which we take. Previous exhibitions include: 'Artist File 2015', National Art Center, Tokyo and the National Museum of Modern and Contemporary Art, Korea (2015); 'Lesson for Mundi Vita', Seoul City Museum of Art, Seoul (2014); 'Today's Salon', Common Center, Seoul (2014); and 'Bad Romanticism', Arko Museum, Seoul (2011).